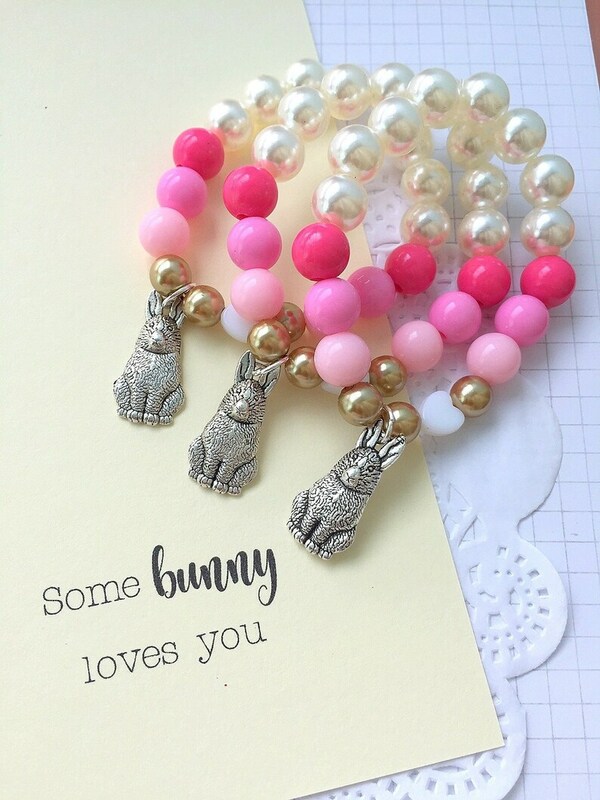 SET of FIVE, Bunny bracelet, Easter bracelet, pink easter jewelry, rabbit bracelet, bunny jewelry, kids bracelet, kids jewelry. 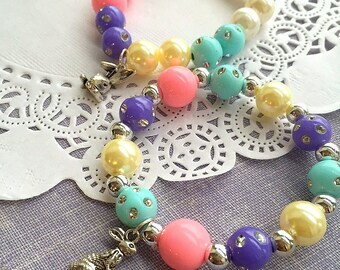 Bracelet measures 6.5" (can be made shorter or longer). Bunny bracelet, Easter bracelet, easter jewelry, rabbit bracelet, bunny jewelry, kids bracelet, kids jewelry, ONE (1) bracelet. 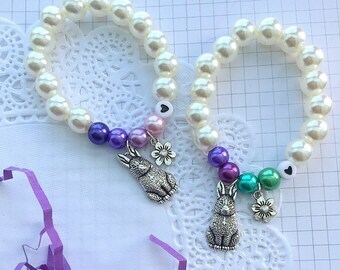 ONE bracelet, Easter bracelet, bunny bracelet, easter jewelry, rabbit bracelet, bunny jewelry, kids bracelet, kids jewelry. Choose color. 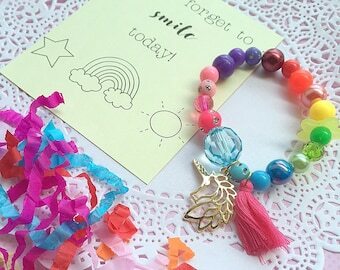 Fairy birthday party, fairy party, fairy jewelry, fairy jewellery, fairy bracelet, kids jewelry, kids bracelet, SET of TEN. Mermaid bracelet, mermaid party, mermaid jewelry, kids bracelet, kids jewelry, SET of TEN, under the sea party, father daughter dance. 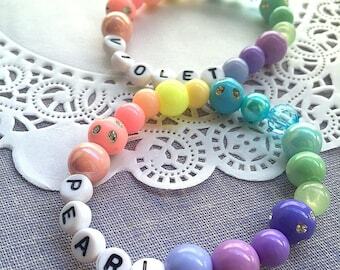 Horse, kids birthday party favor, childrens jewelry, beaded bracelet, kids bracelet, kids jewelry, pink, teal, SET of TEN.